What is your office infection control protocol for High Volume Evacuation Valves (HVE) and the Saliva Ejector Valves (SE)? How often do you flush the suction lines and disassemble the Valves according to the manufacturer instructions? Are your patients aware of your office protocol for the Valves? New protocol has been implemented at different facilities this year. At VA Dental Clinics all HVE and SE Dental Valves must be disassembled and reprocessed “every patient”. Is this being on the side of too safe? One option that we have witnessed at various clinics is asking patients if they would like a clean, new valve. Stocking a smaller case of disposable single-use valves will allow you this option. What you will find is the majority of patients do care when presented a option of clean vs reprocessed. Put yourself in the patients position. They do not have the expertise you have. Have you inspected the SE Valve under the rubber tip? What is your first impression? The below image is what we have discovered often. 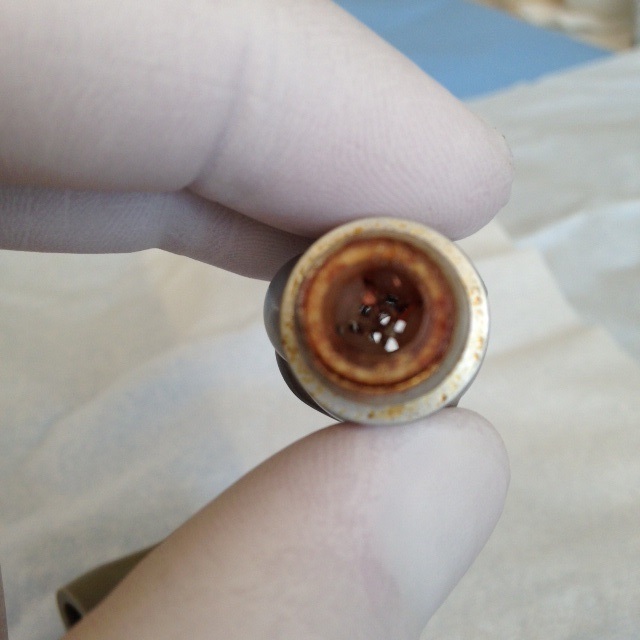 It is a typical SE Valve under the rubber tip. It is never disassembled and has not ran through a autoclave. If you were a patient, and this was your other choice, what would you choose?